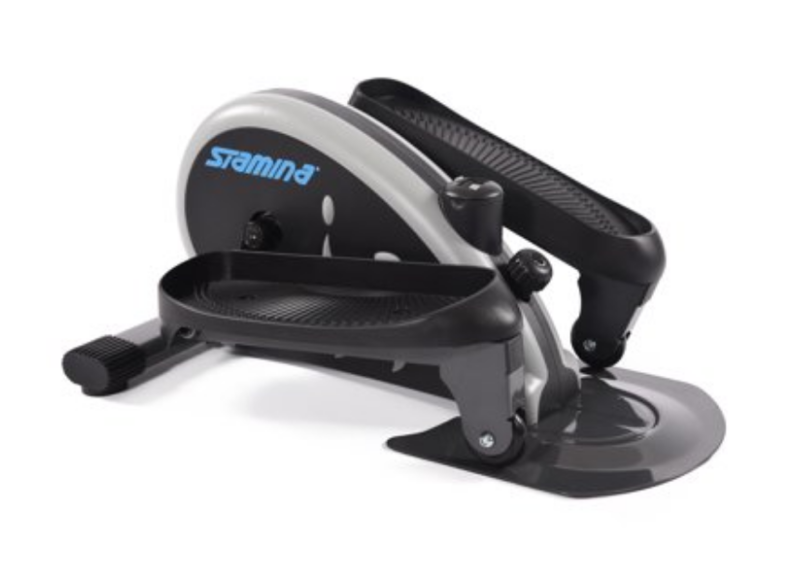 With the Compact Strider, you can burn calories, build endurance and improve your overall health in your home or office. There’s many ways to use the strider; you can pedal sitting, standing, forward or in the reverse direction. Plus, the Compact Strider’s small footprint allows you to easily slide it under your desk at work. Its smooth, quiet motion will keep your cardio session discreet. But you won’t have to sacrifice productivity for performance. The adjustable tension knob allows you to quickly change the intensity. Even more, you’ll be able to track all the progress you make with the electronic monitor, which displays your strides, time and calories burned. The Compact Strider provides a low-impact workout that is easy on the knees, hips and back that can be used while sitting or standing. When assembled, the Compact Strider takes up an area of only 17” x 23.5”. This makes it easy to use under a desk or table, transport and store. It’s easy to track your progress and stay motivated with the workout monitor. The monitor displays strides per minute, total strides, workout time and calories burned. You can also set it to scan through all the metrics. Easily control your workout intensity level with the adjustable tension dial.